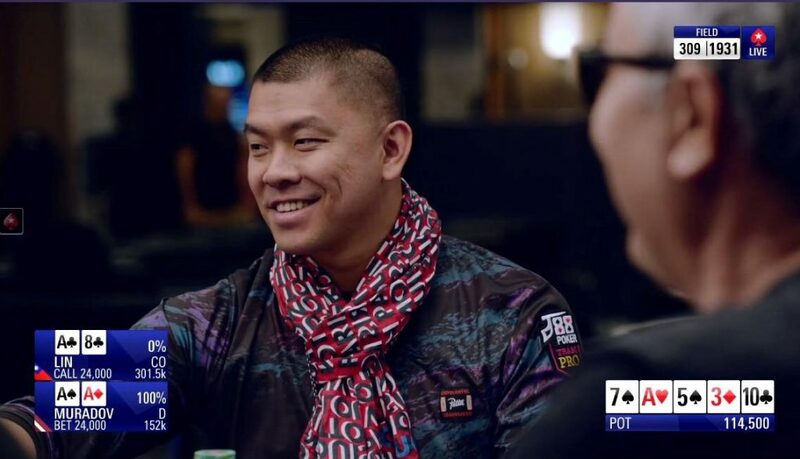 Let me brief my thoughts on EPT Barcelona participation. I finished in the 131th place and got €1,080 prize at the main event and was able to get a ticket worth €10,300 from a satellite tournament. I neither lost big nor won big, but I think it was a good play overall. When I first came to Europe, I felt that the players looked too strong to win. As knowledge accumulated and technology improved after a long period of practice, I found myself playing with stability in various situations and bigger situations. I don’t get nervous even when I confront a stronger opponent anymore. When I go back to Taiwan, I will spend more time studying to be a steady winner!